The name Fiverr is a household name in the freelance world. And, I have no doubt that you must have either heard of Fiverr, have used it or is using it presently. Fiverr, just like every other platform has its perks and it good sides. But, as it is, I'll talking 'bout the good sides, and what I learnt from the skills and services marketplace during my time of providing design services on the platform(which I still do occasionally anyway. :D). Working as a freelancer can be as difficult and tasking just like working in an agency. Yeah. I said that. Sometimes, we get engulfed in the joy of having no alarm clock to wake you up so as to rush off to work. Worry about traffic and how to deal with your boss that we forget that while working as a freelancer, we are not just the designer, or the service provider, you also run the marketing, the customer service, the project management, finance and the rest that I don't remember. Hey, I'm not trying to scare you from the freelancing world, I'm just welcoming you to the reality. Then, a few months of freelancing, you realize that it's not as easy and smooth as you thought. This time, you 've had your clients on your neck. Calling and mailing for missing deadlines. Clients disappearing, and you having to scout, market and do whatnot to get food on the table. Having seen and experienced these things, one of the escape routes the internet(google) offered me, was fiverr. At first, I was scared. P*ssed. And skeptical. But, I had to give it a shot. Few weeks after I joined fiverr, my doubts started giving way to my mind to welcome reality. 1. 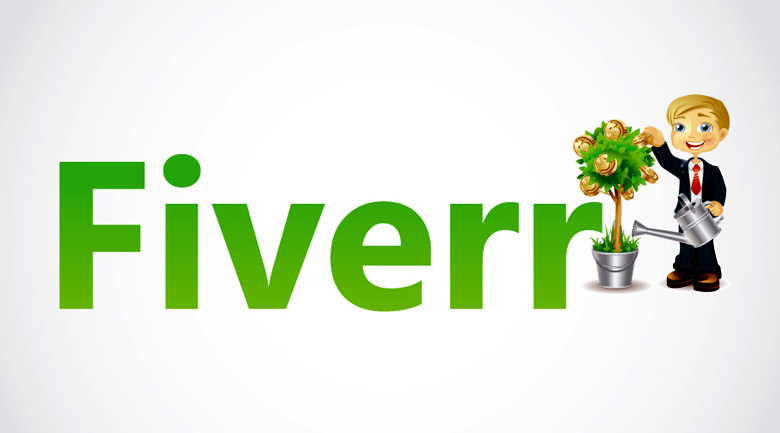 Fiverr is a marketplace that has millions of buyers and sellers who have same skill as you, and better. So here, the problem you face is, how do you get your skill/service noticed in the midst of all these guys. Some of 'em who somehow happen to have delivered good works, have good reps and offer their services cheaper than you could ever imagine selling yours. Lesson: I learnt to spot the difference and what I brought to table in the midst of millions of sellers who offer the same service(s) as myself. Why should a client hire me when there are a good number of people who offer same service, cheaper. Every designer who wants to stay relevant should take his time to answer this question. 2. Meeting project deadline. Fiverr places timelines on each project offer you get. These timelines can be 1 day, 2 days, three to as long as you think the project would take to complete. As freelancers, one of the biggest problems we face in our everyday life is meeting up with timelines. 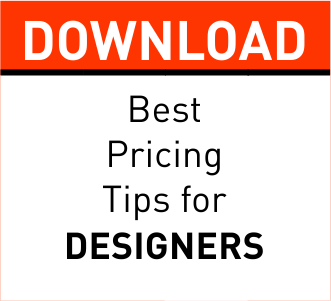 Fiverr's project time makes it a must that you must have to deliver on time. If you fail, the timing goes red, and it leaves a bad rating on your profile. You know what that means. Lesson: While some of us have a way of tracking their project timelines, we worry little about how it affects our business and reputation. How it kills our business slowly. And, no matter how good you are, delivering projects on time goes a long way in keeping you in business. 3. Marketing yourself and you skills/services/brand: Some will ask, market yourself/brand on Fiverr? Yes. While Fiverr has millions of buyers, it doesn't promise you anything. If you want to make sales, then you have to work for it. They have some basic information that could get you started, but, it still doesn't change a thing. You have to work your way out if you want to make money. Having a good GIG cover, nice descriptions, GIG videos(which they say increases your chances of getting orders by 300%) does not guarantee that you'll make sales. You have to keep tweaking. Taking the time to promote your GIG outside of Fiverr. On Social media, even paying for fake reviews(which I found out was what some did to get a better ranking) would have to be on your list, if, for any reason you hope to make sales. And even having to ask for referrals from your buyers. Asking to always get in touch when next they need your services. Lesson: As a freelancer, I wasn't keen on marketing myself. I always beleived that once my works were good, I will always have clients. But, Fiverr proved me wrong. I remember walking close to 2 miles 'cause I was broke and couldn't afford a ride. It happens. So, to have steady clients and to keep paying the bills, Fiverr forced me tighten my belt. And one thing is, one method works for a while and stops. And I try something different. All day. Always. It's quite an epistle. It's not all I learnt from Fiverr though. But, these are the ones I thought of sharing with you today.